Circu designs magical, awe-inspiring furniture for children, or adults who are young at heart. 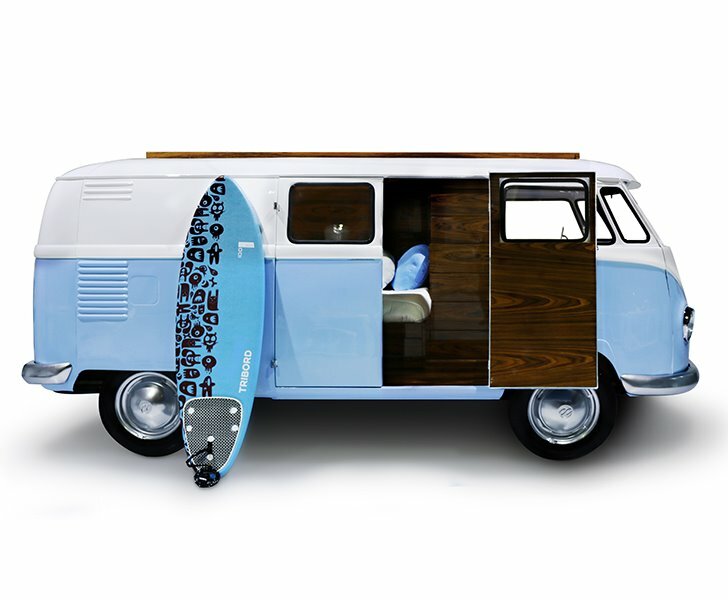 Although their range is expansive, our favorite piece is the Bun Van, a dreamy VW inspired bus bed. More than just a bed, this ready to cruise Bun Van features a sleeping space, sofa space, a television, a desk area and even a mini bar, not to mention extra storage. The design of this bed is so spot on, you’d almost miss that this is furniture vs. a ready to roll bus! This eye-catching bed is super unique, made of a fiberglass shell with chrome plated finishes with an interior made of palisander wood veneer. Perfect for use as an actual bed or a magnificent play structure, this bed offers plenty of opportunity for relaxation, play time and reuse. It would be especially amazing in a child care setting. Visit Circu for pricing and ordering information. Circu designs magical, awe-inspiring furniture for children, or adults who are young at heart. 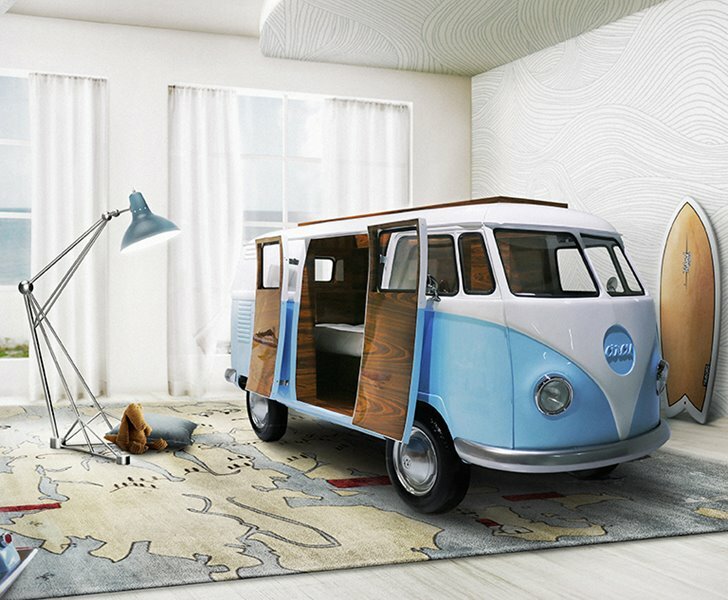 Although their range is expansive, our favorite piece is the Bun Van, a dreamy VW inspired bus bed. More than just a bed, this ready to cruise Bun Van features a sleeping space, sofa space, a television, a desk area and even a mini bar, not to mention extra storage. The design of this bed is so spot on, you'd almost miss that this is furniture vs. a ready to roll bus!